Anyone with a business online has to build a list and use email marketing. Most marketers use one of several big-name autoresponders: Aweber, GetResponse, Constant Contact, InfusionSoft etc. However, there are constant problems with email services like the ones listed above: they can close your account without any warning, or their deliverability might take a sudden dive. Both of those problems will mean lost revenue and time for you. And that’s why I recently started moving to my own self-hosted email setup, and I am already seeing some really great results. And today I am doing a review of a product which is actually even simpler and more user-friendly than the one I have been using. Mail It is a WordPress plugin that is coming out on the 19th of August, made by Brett Rutecky and Mike From Maine. Brett is well known for the high quality of his software. First of all, most people are reporting issues with their big autoresponder services. Common issue is that Aweber open rates have gone down significantly in the last 6-12 months. I used to get 10-12% opens 1 year ago, and about 3-4 months ago that went down to 4%. I moved my list to ConvertKit and instantly my opens went up to 10% again, so I knew for sure it wasn’t my emails, that the problem was with Aweber which was not getting my emails delivered. As you can see, my opens are twice higher when I use my own self-hosted setup. Why? Because I have my own IP address which I don’t share with anyone else. With a service like Aweber, same IP is used by thousands of users. And if one of them is sending abusive spam emails using the same IP address as yours, then your deliverability will suffer. Second important thing about is the one-off cost. If you’re going use Aweber, their minimum fee is around $30 per month and I was paying $299 per month because of the size of my list. With Mail It, you only have to pay a small one off $34 price (less than 1 month of smallest Aweber account). This price will go up throughout launch though. Lastly, with a self-hosted set up, there is no risk of you getting shut down. I have been lucky and I have not lost any email accounts, but most of people who I know have been shut down at least once, usually without being given any reasons. Mail It is a WordPress plugin which takes 5 minutes to install. It comes with full instructions. Once you have uploaded your list to Mail It, you can start sending out the emails immediately. If you have a big list, then I recommend for you to start out by warming up your IP address (if you get it through my link, one of my bonuses explains how to do it). If you start sending out thousands of emails from a new IP address, it can hurt your deliverability – but don’t worry, it’s easy to warm up your IP address and my bonus will show you how to do that. Then you can send broadcast messages, autoresponder messages, and do other things that you’d expect to do in an email / autoresponder plugin. The price on the Frontend is $34 for the initial earlybird period, rising each day of the launch. If you get Mail It through my link, you will get my checklist on how to properly warm up your IP to get max deliverability. Level! WHAT? ARE YOY KIDDING ME! Please edit the P word.. Yes I have heard of many similar experiences and it’s a nightmare. I know you’ll do well with Mail It. Cheers! I wasn’t planning on buying anything. I was only browsing this site because it was the only link that worked in your Google Doc that linked to 3 different Mediafire pages, as your gifts of free images! Your review here is simple and factual and there’s no way to argue against it. I’d never had considered Mailit if not for seeing those figures above. So that encouraged me to listen to the sales page video. 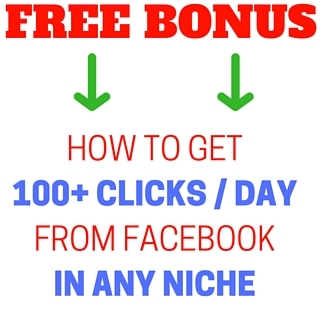 Valuable info that I wouldn’t have given any internet marketer the chance to tell me. I bought through your link. I’m interested in your IP warmup checklist bonus. Purchase email same as the one I used to post this. Awesome – I think I may have sent you the bonuses already. If not, please let me know and I will. I bought Mailit through your link, just now. How many websites can you use this on? Hi Scott, there is no limit. It’s a plugin, so you can install it anywhere, on any number of sites.